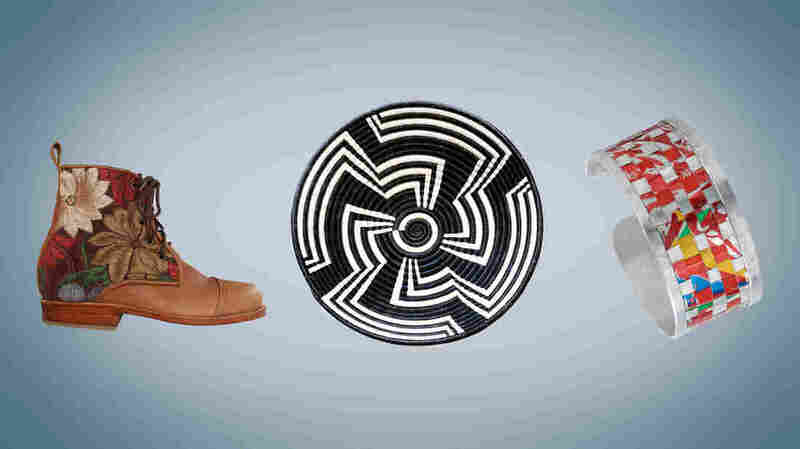 For Giving Tuesday: A Guide To Gifts That Give Back : Goats and Soda Boots from a Guatemalan village. 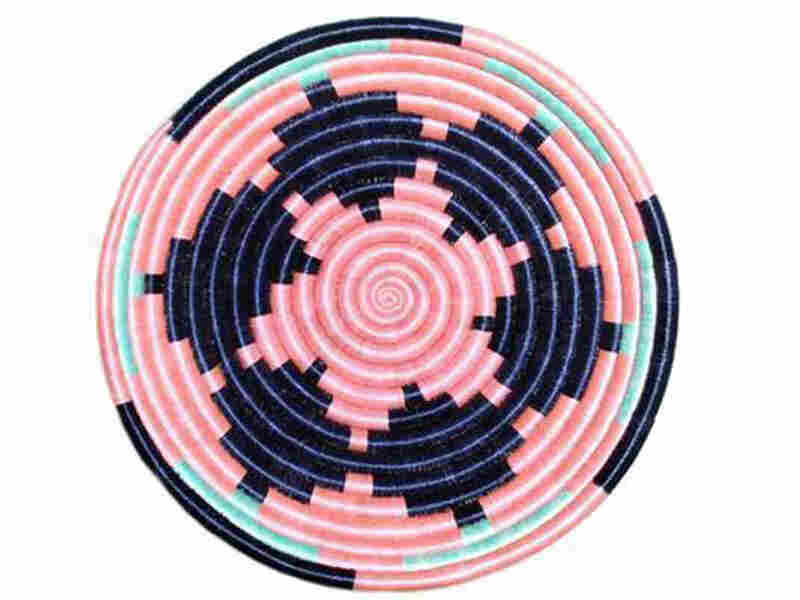 A basket woven in Rwanda. Kenyan soda cans that became cool cuffs. Money spent on these and other items provides a better life for artisans in the developing world. Each item, including boots from Guatemala, a basket from Rwanda and a soda can cuff from Kenya, are handmade. And when people buy these gifts, the profits go back to the artisans and their community. After you've seized all the deals on Black Friday, Small Business Saturday and Cyber Monday, it's giveback time. Today is Giving Tuesday, the day that asks people to donate to a good cause. This online campaign was created three years ago by the 92nd Street Y, a cultural and community center in New York, with the support of a slew of partners, including entrepreneurs, philanthropists and the United Nations. The idea is that you can kick off the holiday season by donating your money or time. At least $32.3 million was donated on Giving Tuesday 2013, according to a survey by the trade publication NonProfit Times. But if you're still in an acquisitive mood, there are ways to shop altruistically. There are nonprofits and even companies that sell handmade products whose profits go back to artisans and toward community projects in poorer countries. Some of these small busineses were started by entrepreneurs looking for more than a financial profit; others have been around for years, working with craftspeople in some of the poorest countries in the world. Some look to empower underprivileged women in male-dominated societies while others help youth develop skills for their future. So for Giving Tuesday, we've put together a list of gifts that'll make more than one person happy. Some are handmade and in limited supply, so if you're looking for a way to give back, order soon. First you choose one of five styles. Then pick from a selection of traditional colors and patterns from the town of Pastores, Guatemala, known for its leather goods. A team of men and women make the boots to order. That takes about 8 to 10 weeks. If you're ordering for Christmas, the organization will send a freebie to put under the tree – a handmade Mayan gift bag with a card previewing your boots. 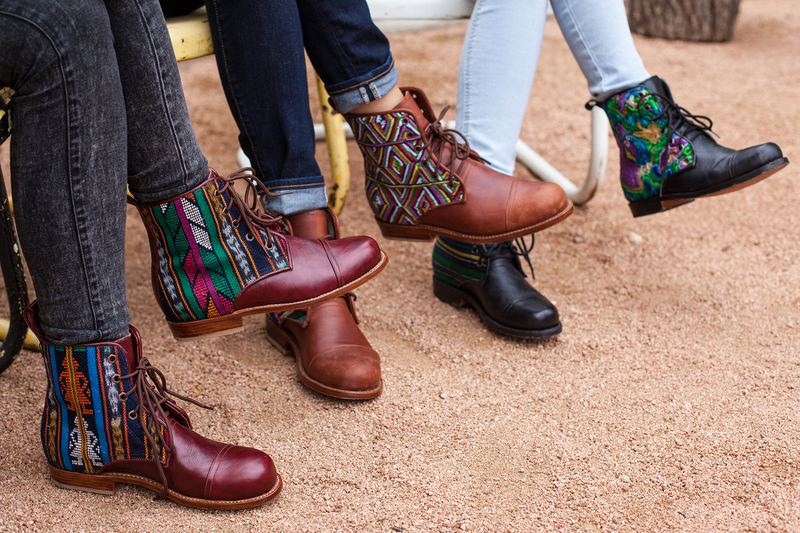 Backstory: The founders of shoe startup Teysha wanted to avoid mass production. 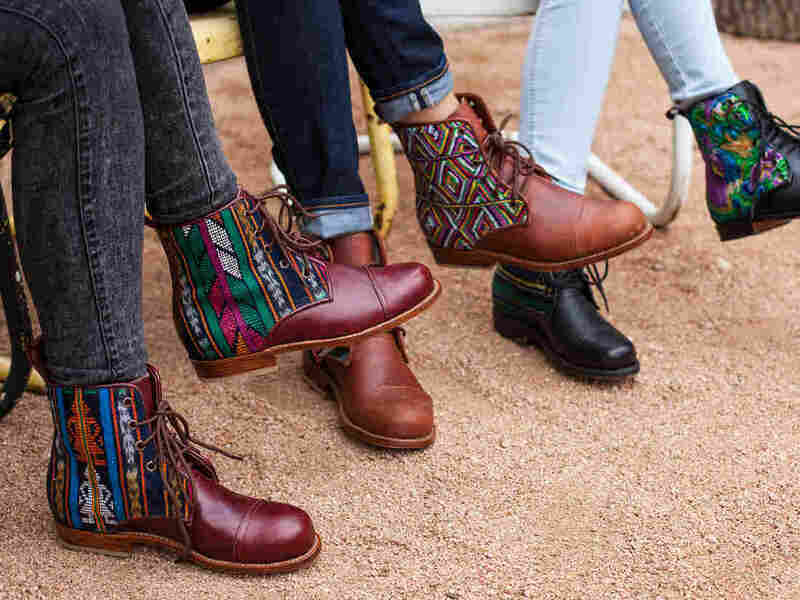 Instead, the company, whose named is the Caddo Native American word for "friend and ally," works directly with Central American artisans. The goal for co-founders Sophie Eckrich and Travis Breihan is to provide income for indigenous communities in Colombia, Panama and Guatemala as well as to keep alive traditional sewing and shoemaking skills that have been passed from generation to generation. 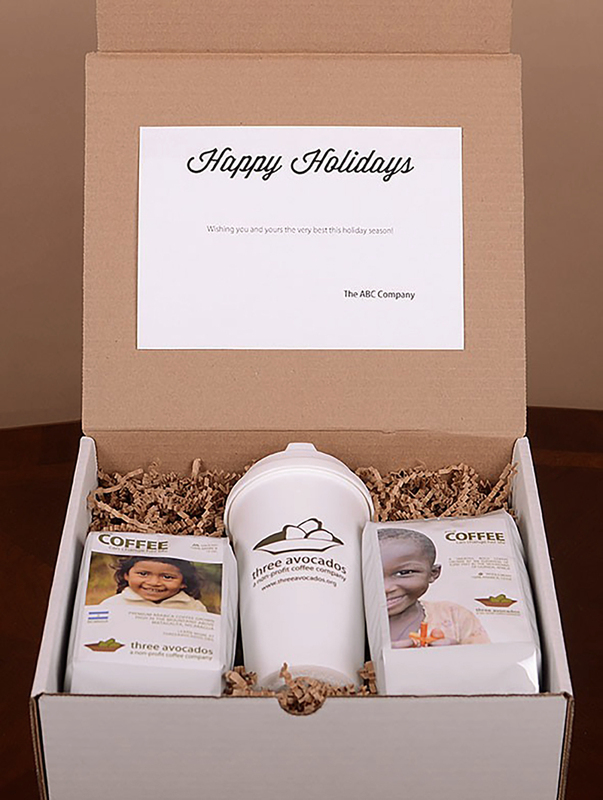 You'll get two 12-ounce bags of coffee beans — one from the mountains of Uganda and the other from Nicaragua — along with a plastic travel mug. 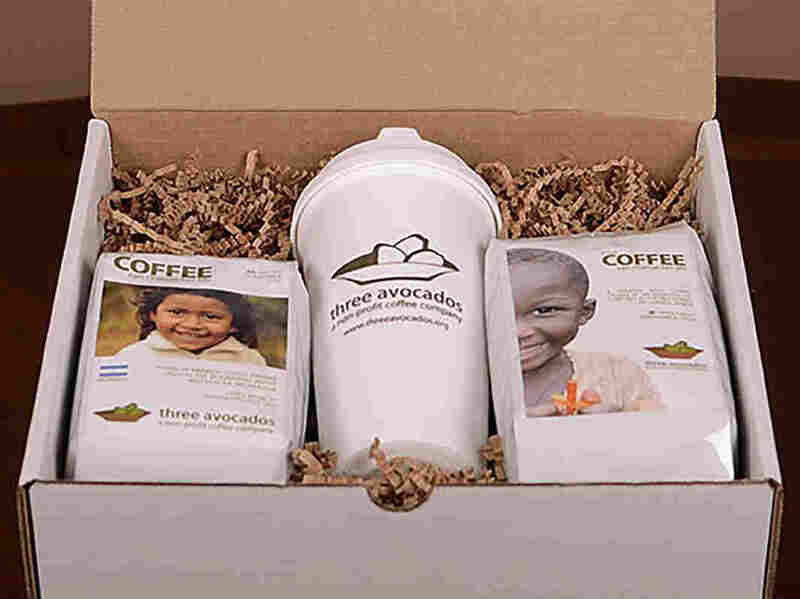 Backstory: Three Avocados is a nonprofit that sells coffee beans grown on the extinct volcano Mount Elgon, which sits along the Uganda-Kenya border. They sell from their website and also work with e-tailers like Amazon and small shops. Between 50 cents and $3 of every bag sold goes toward projects that provide clean drinking water in Uganda. The organization also started selling coffee beans from Matagalpa, Nicaragua, last year; the group's first project is to provide school supplies to students in the village of Las Nubes as well as room dividers to teachers so they can split one large room into smaller sections. And what do avocados have to do with all this? The name was inspired by the generosity of a widow met by founder Joseph Koenig on a trip to Uganda. He says that she gave up three avocados — all the food she had at the time — to pastors passing by the village of Bulopa. 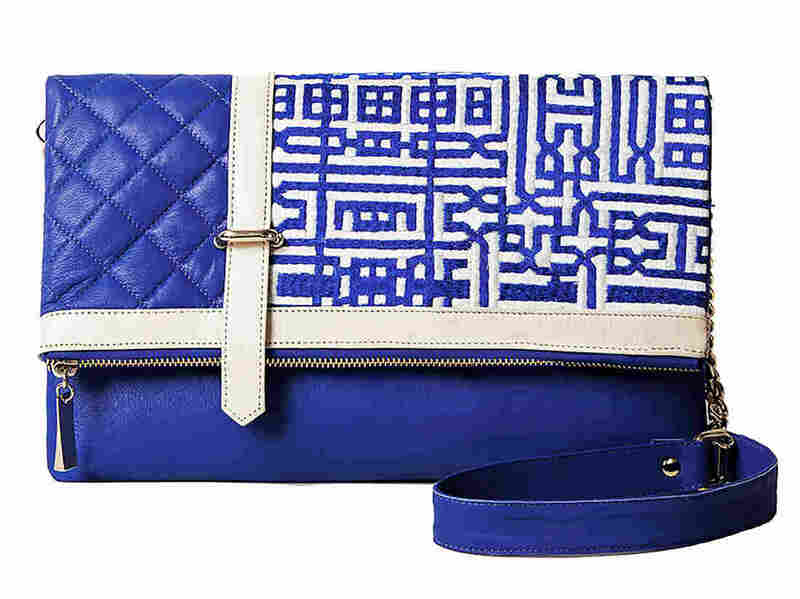 The design is inspired by an ancient form of Arabic script from southern Iraq. 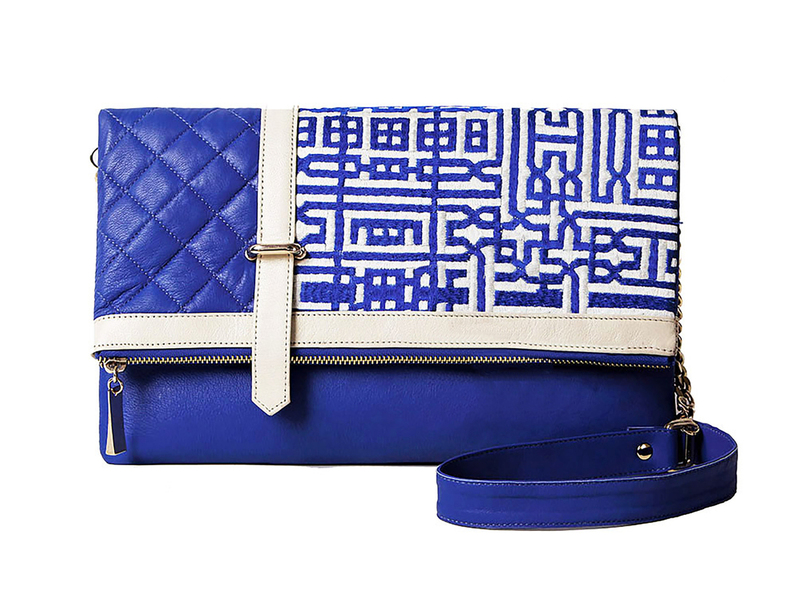 Once used to decorate tiles in Islamic architecture, the pattern is now handwoven in silk for these bags. Backstory: The women who make Popinjay's high-end handbags include a 35-year-old mother who is the sole breadwinner for her three children, an 18-year-old who's never attended school but wants to earn her own money and a mother of four who had been struggling to pay her husband's medical bills. They're three of the 150 women living in Hafizabad, one of the oldest districts in Punjab, Pakistan. Before working at Popinjay, which was founded by MIT engineering graduate Saba Gul, they were living on roughly $2 a day. Today, the women earn between $2.50 and $3 an hour — enough to become self-sufficient. This basket from Rwanda is handwoven with fine thread made of sweetgrass, with patterns and designs drawn from the artisans' culture. Backstory: Indego Africa partners with more than 600 women artisans across 18 cooperatives in Rwanda, giving them a global market for their handcrafted goods. In 2012, the organization reported that more than 75 percent of the women earned at least $1 a day, up from 7 percent four years ago. Profits from sales and donations also help fund programs that teach women how to grow their business, like its new leadership academy, with Rwandan college students teaching 25 women each semester everything from marketing and product innovation to workplace safety. From afar, they look like polished pieces of marble — which may make guests wonder why they're sitting in a soap dish in your bathroom. 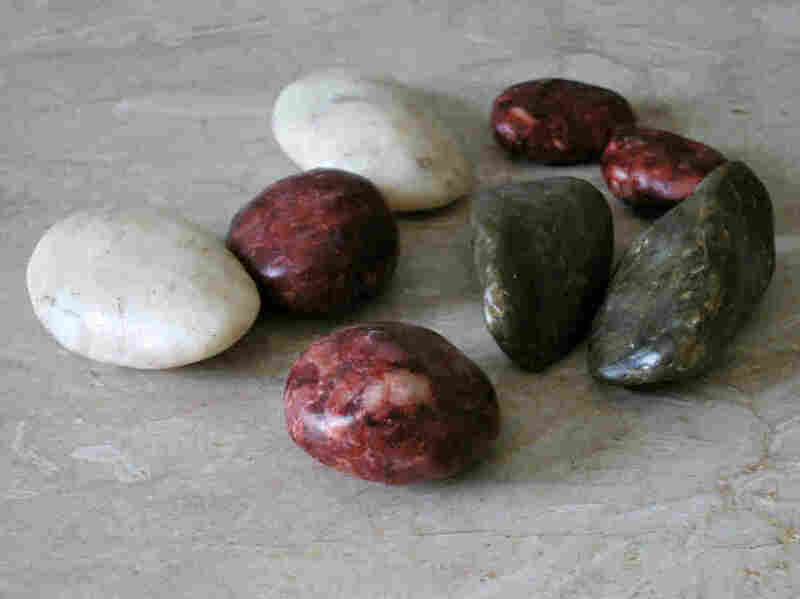 In fact they are soap stones, made by Afghan artisans using fruit and vegetable oils. Backstory: Arghand was founded by former NPR reporter Sarah Chayes, who stayed behind in Afghanistan in 2002 to help rebuild the country after covering the fall of the Taliban. The country's economy still heavily relies on the export of opium poppies. Chayes wanted farmers to take advantage of the abundance of other crops — like pomegranates and apricots – that can grow in the region's harsh climate. She started a cooperative that now employs almost 20 men and women who fashion soap and other beauty products using almond oil, licorice root and the like. The 4-inch tall paperweight is handcarved out of Kisii stone, a soft rock found in southwestern Kenya. 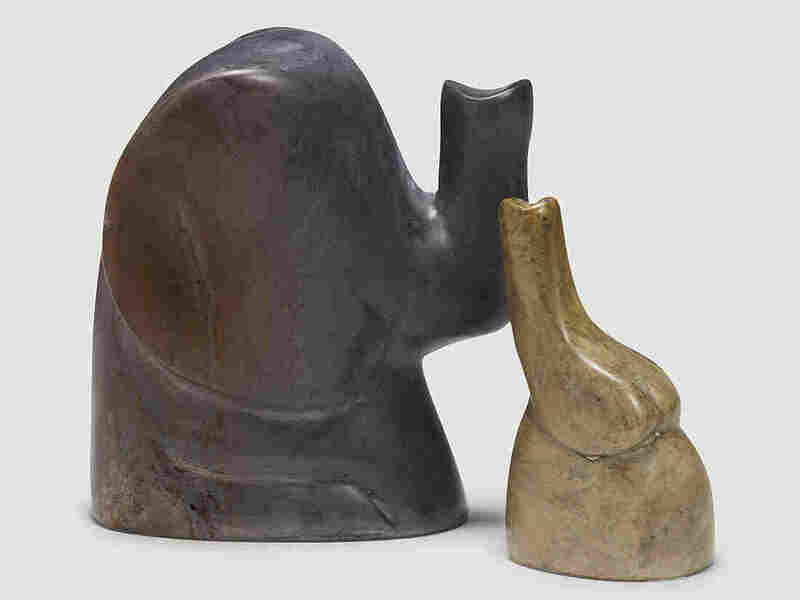 Backstory: This elephant duo comes from Kisac Fair Trade Limited, a Kenyan group that says it gives half its profits to the artisans it employs. Another 5 percent of profits goes toward community projects that support orphanages, education and clean drinking water. 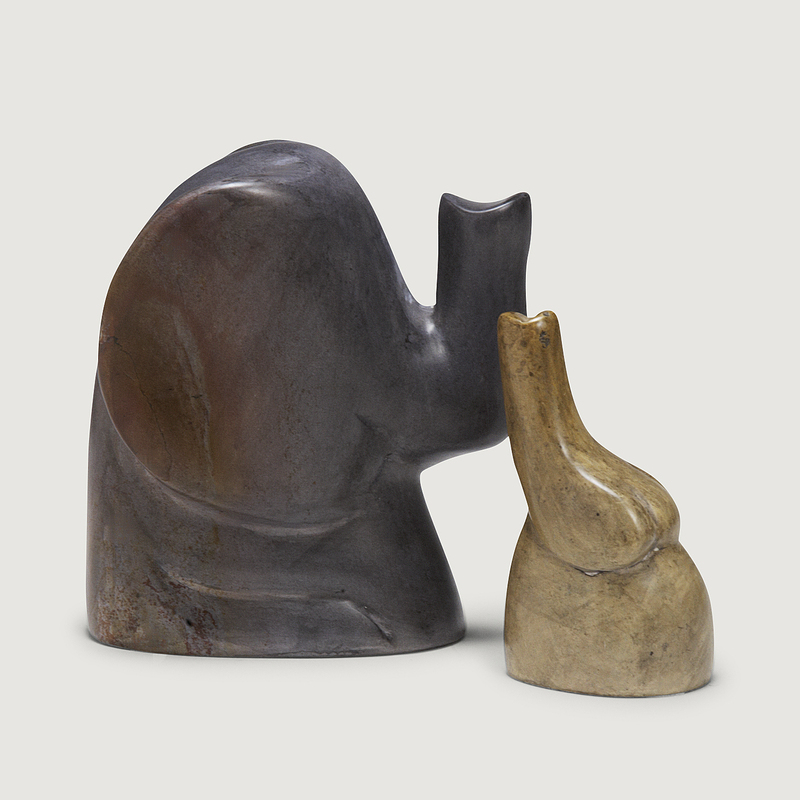 The elephants are sold by Ten Thousand Villages, a retailer that has stocked handmade gifts from artisans around the world since 1946. 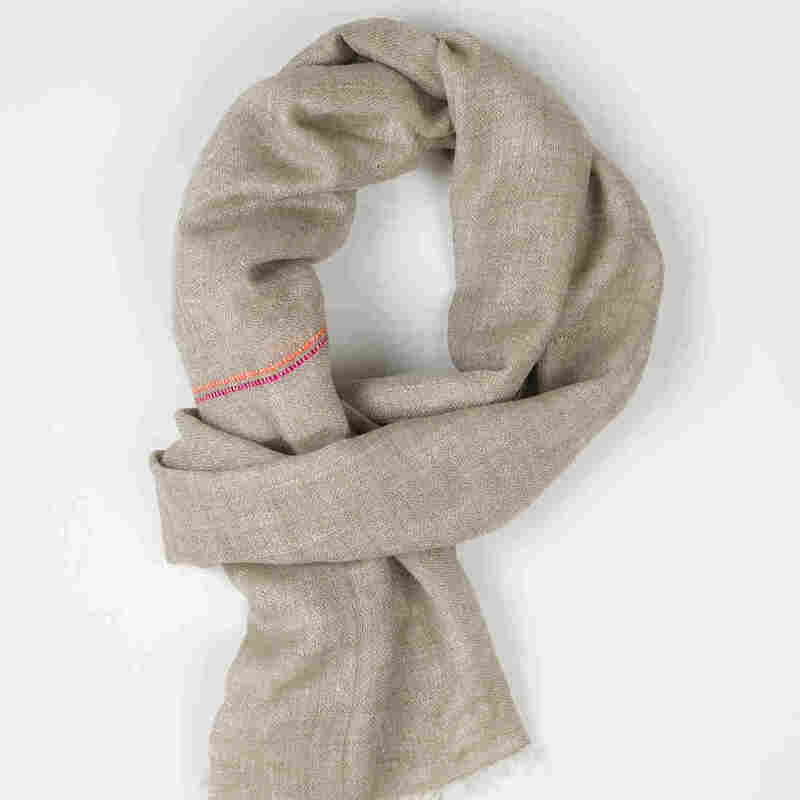 This 100 percent silk Pashmina shawl is handwoven by women in Varanasi – a city that's home to a 500-year-old silk-weaving tradition. Backstory: Nest is a New York-based nonprofit that brings the creations of female artisans from countries like India, Indonesia and Uganda to high-end brands. Founder Rebecca van Berger's goal is to help small-scale artisans grow their business, so her team only partners and funds businesses that "show leadership and show scalability," she told a PBS online reporter. 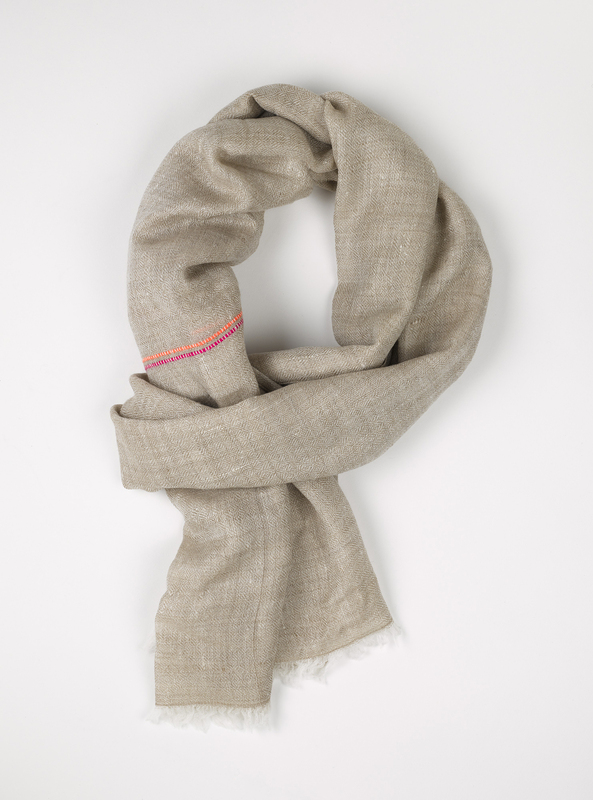 This particular shawl comes from the Varanasi Project, a month-old initiative that aims to find a market for weavers. 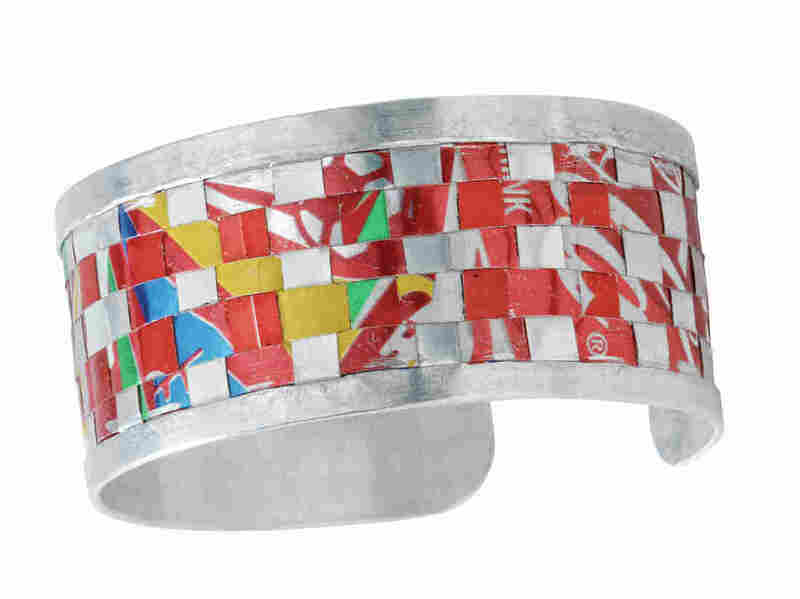 An empty soda can usually is tossed into the recycling bin, but this bracelet from Kenya weaves strips of recycled soda cans into a colorful pattern. 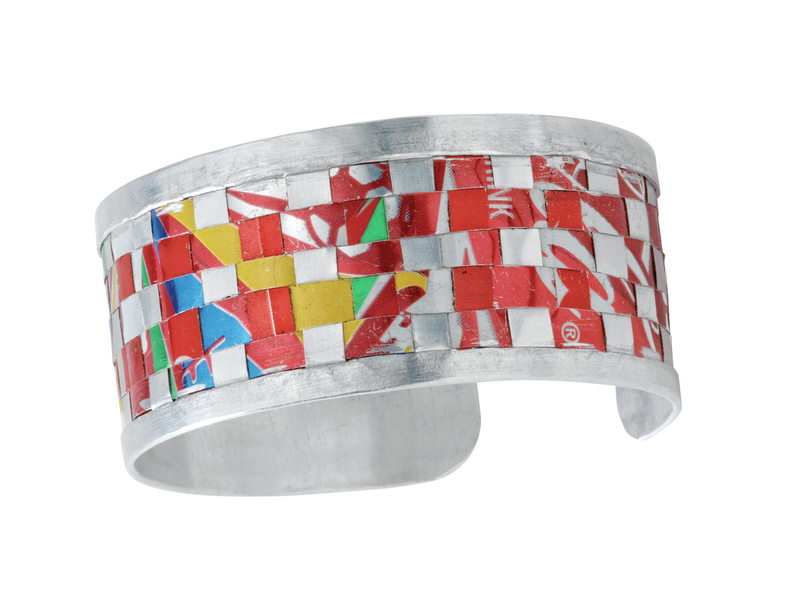 Backstory: The soda can cuff comes from Bombolulu Workshop, which employs more than 100 disabled men and women in Mombasa, Kenya. It's sold by Serrv, a retailer that began when a small group of relief workers helped refugees in Europe rebuild after World War II. Sixty-five years later, the nonprofit works with small-scale artisans and cooperatives around the world. 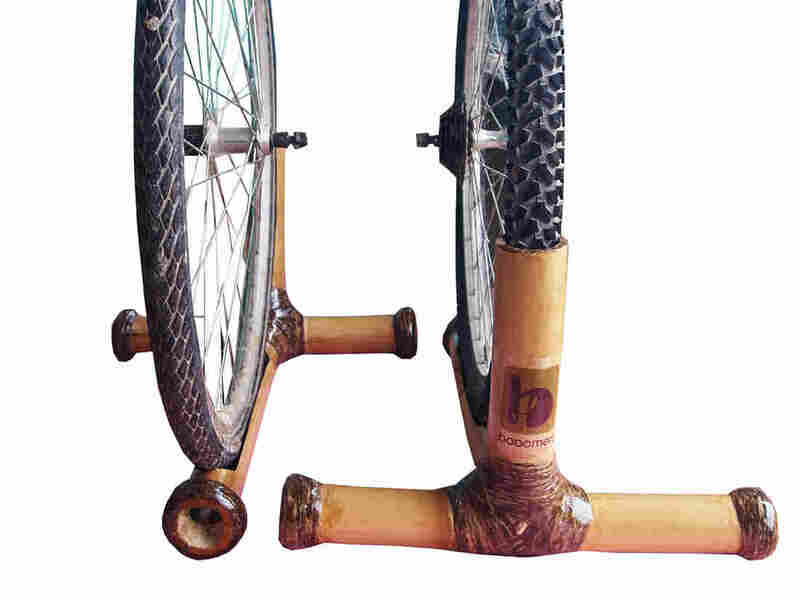 This minimalist bike stand from Ghana could fit in a garage or a tiny living room. Just set it on the floor, slide your bike's front wheel into the appropriate slot and this stand will hold everything steady. 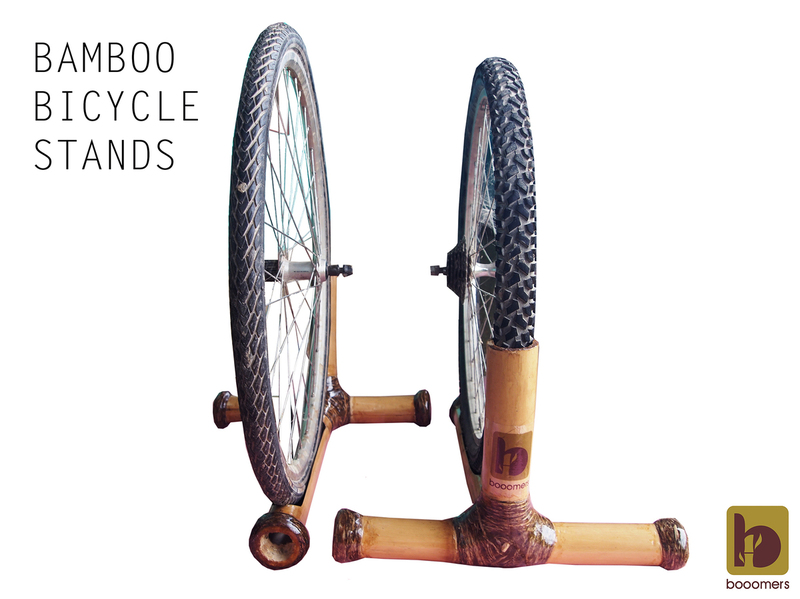 Backstory: Bamboo is strong and lightweight. It needs few nutrients and little water and is much easier to grow than hardwoods. Plus: Chop down bamboo and it'll grow right back — up to three feet a day. Farmers in parts of sub-Saharan Africa, including Ethiopia and Ghana, have begun cultivating bamboo as a way to combat erosion — a side effect of rapid deforestation. The folks at the nonprofit Yonso Project in Ghana figured they may as well take advantage of this overabundant resource. They're using the versatile material to build bike frames and accessories. The organization trains young craftsmen to sand the bamboo, bind pieces with natural fibers and glue everything together using a combination of cassava flour and epoxy. Proceeds fund Yonso's scholarships and small business loans for women in rural areas. Plus, the group's workshop in central Ghana provides jobs for youth from nearby villages.